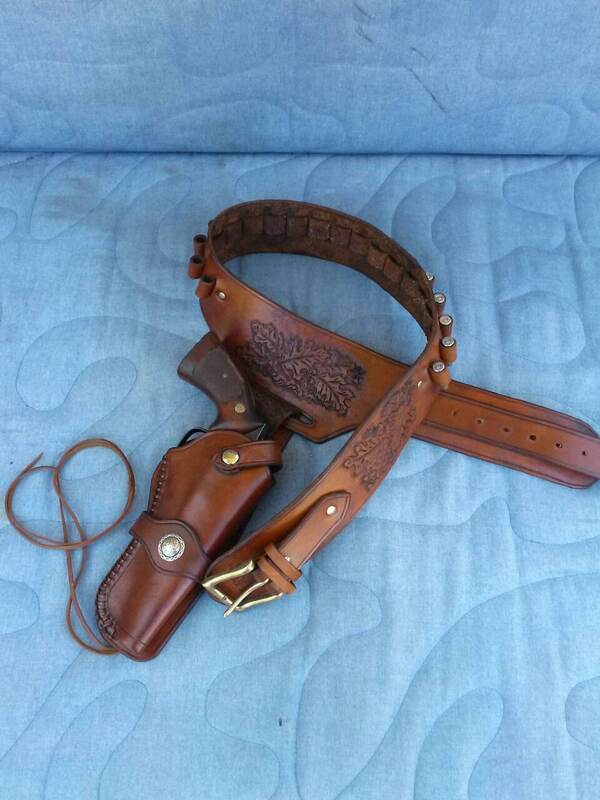 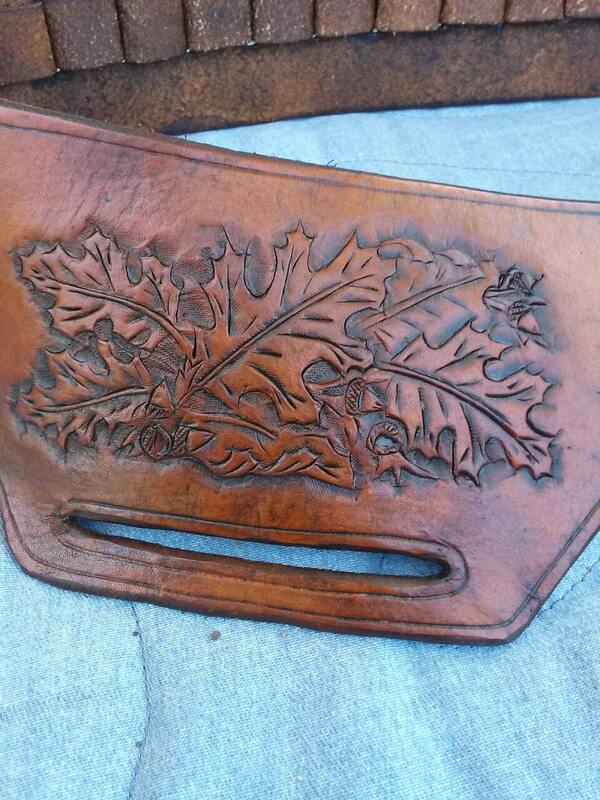 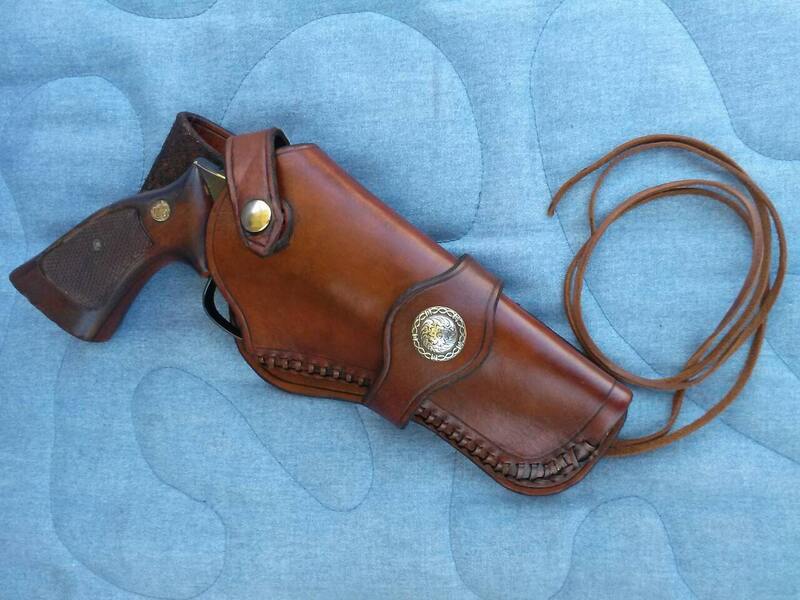 Custom made to order Western Style gun holster and cartridge belt. 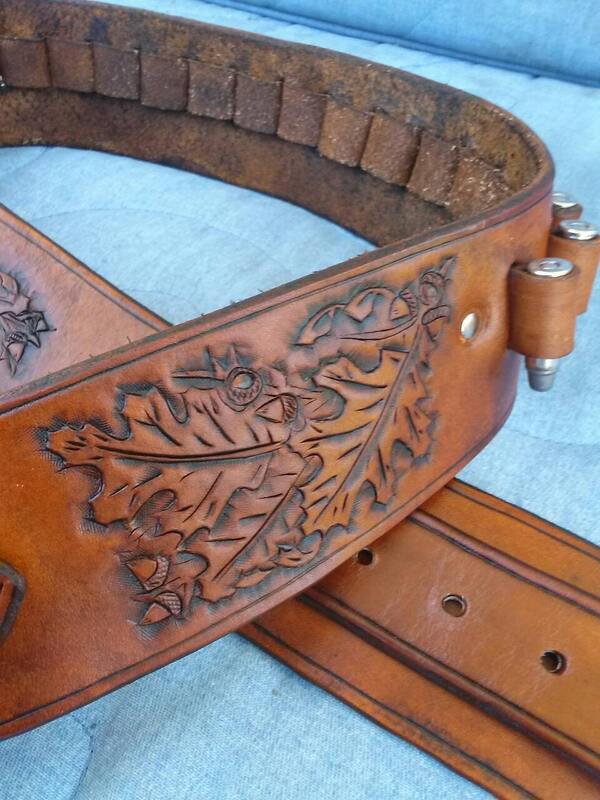 You choose color, tooling, right or left handed, and any other specifics you might want to add. 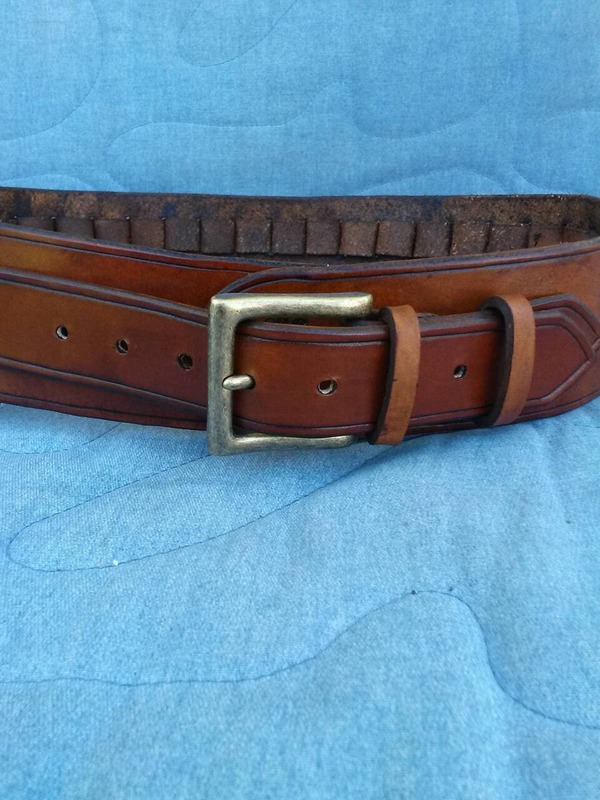 Please specify caliber and frame/barrel size along with your waist size in inches or cm.